If you are searching for a desktop all in one manufacturing system that is capable of performing a number of 3D printing, bio-printing, CNC,laser cutting and food printer functions you may be interested in the multifunctional Aether 1 desktop 3D printing and manufacturing system system which has been unveiled this week. 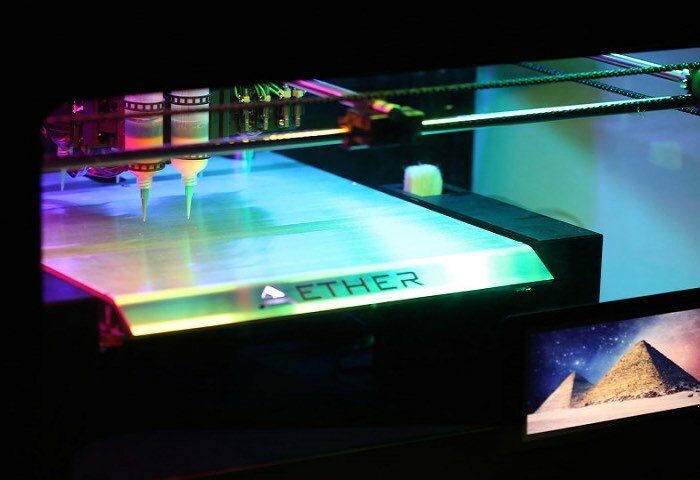 The Aether 1 is capable of carrying out any number of different printing processes and offers a bio-printer with eight syringe extruders plus laser-assisted bioprinting and droplet jetting capabilities. Together with a food printer that is capable of creating 3D prints using chocolate, cheese or any other viscous liquid or food material. Aether 1 is the most versatile tool ever created. There’s never been anything like this before. Aether 1 is over 10 years ahead of what other companies are developing, but we’re selling it at an extremely low price to get it into the hands of as many innovators as possible. We think what the early innovators are going to make with Aether 1 is going to be absolutely incredible. Imagine a single machine that can make beautiful art in entirely new ways, turn photos into paintings and sculptures, even turn food into a work of art, that can also be used to save lives, conduct critical research, and pursue the integration of biology and electronics. People will use this to do big things. For more information on the new Aether 1 jump over to the Aether website for details and more details about its specifications.